Specialty: Glide services have some specialties like Glide OS 3.0, word processing, spreadsheets, presentations, calendar, address book, web applications, 250 file formats, online meetings with other Glide OS users, six user accounts with single membership, free space of 20 GB, email service, photo editing suite and music player. Use Glide in this way…. 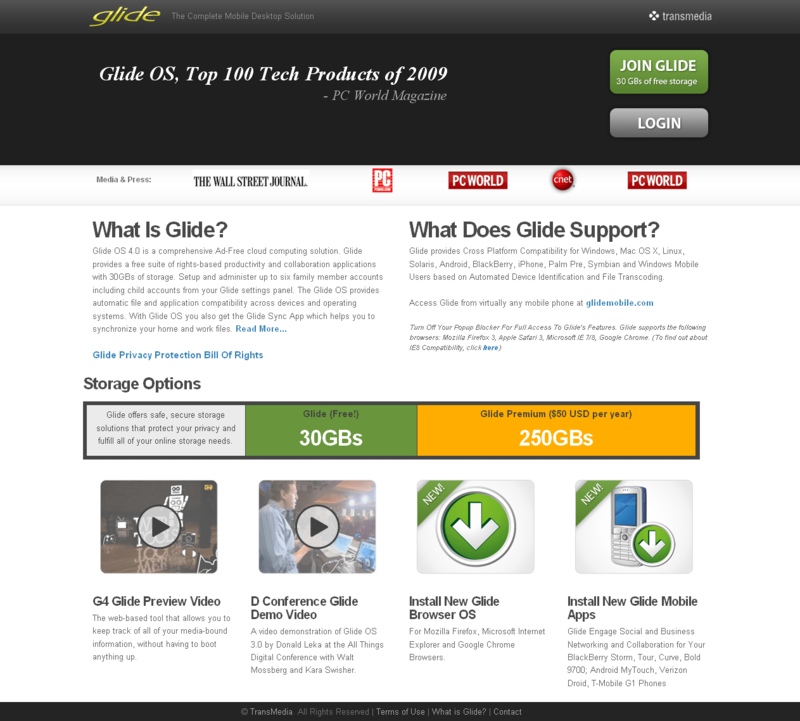 After registering with the site, select the Glide Free plan OS. If the registration is done at a net centre, the Operating system of that computer must be known and to be selected in the site. Click next in the dialog box after entering the username and password. Id details and a special link will be sent in the mail. Click on that link and the web top will be seen in your Glide services. Upper side of the screen, Desktop acts like normal desktop while Glide HD can be used for file sharing and Portal for net surfing. If you want to change the web top according to your taste, click on Customize. It works as display properties of the normal desktop.